Easy peasy and full of fruits, veg and lean chicken – this is a delicious recipe perfect for finger-food enthusiasts! Oriental dishes are not only tasty and full of flavour, but they’re also real people pleasers. You can serve up a big wok of noodles for the family with little effort expended and make a really satisfying, nourishing and healthy meal out of it. But this isn’t a recipe for a noodle dish. With noodle dishes, I feel it is usually best to throw in what feels good on the day. 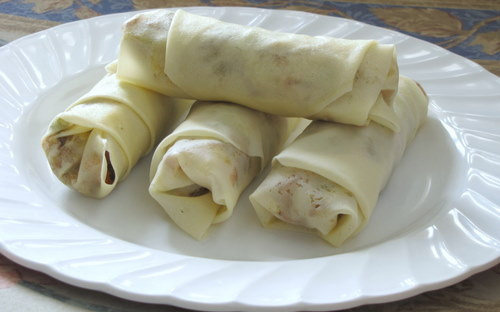 Instead, I’ve come up with a Chinese spring rolls recipe which incorporates a whole host of rich vegetables into the mix, as well as a gorgeous mango honey sauce to dip your rolls into as you go. Make this dish as spicy or as non-spicy as you like by dialling up or dialling down the portion of jalapeno peppers (I like them spicy so I use what I consider to be quite a lot for this recipe). Give it a go and chow down! Preheat the oven to 200c and cook the chicken for 40 minutes until browned. 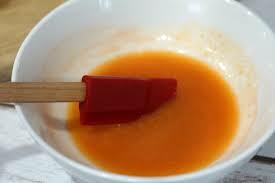 For the sauce, peel the mango, chop into small chunks and mash with the honey in a bowl. Blitz in a food processor if the consistency isn’t creamy enough. 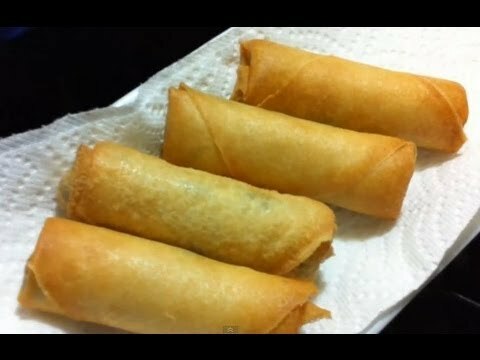 To make the rolls pop the rice paper into a bowl of warm water for a few seconds until softened. Add the filling vegetables and the chicken (diced) and drizzle a little of the sauce onto the top before closing the roll.